The Midwest Horse Fair is dedicated to the continuation and prosperity of the equine industry. It is the responsibility of all participants of the Midwest Horse Fair or partnering organizations to abide by the following Code of Conduct and all rules set forth by the Midwest Horse Fair. Failure to adhere to these guidelines may alter or hinder future participation. Participants are expected to humanely treat all equines. Cruelty or rough handling will not be tolerated. Participants are expected to treat each other in a courteous manor. Conflicts should be reported to a Midwest Horse Fair staff member. Lewd behavior and explicit language will not be tolerated. If unsafe or improper treatment of any animal at the Midwest Horse Fair is witnessed, participants should immediately alert staff, official veterinarians, or security on the grounds. Sportsmanlike behavior is expected of all participants and spectators. Participants should not criticize or interfere with the instruction of any clinician or judge. Participants may not misrepresent the lineage, age, or breed of any equine prior to or during the Event. Breed & Discipline groups are allowed to advertise their official organization or association during their two demonstrations and on assigned stall displays. Any other advertising in stall area is prohibited. There will be a $250 advertising fee charged for commercial businesses or personal farms that advertise in stall areas. Midwest Horse Fair has many advertising opportunities to promote businesses and farms during the weekend. Photography & videography is allowed, but selling photographs or videos taken at the Midwest Horse Fair is strictly prohibited. Photographers must remain outside of the arena confines. Permission for the use of black powder must be granted by the Midwest Horse Fair prior to the event. Permits and fees may be required by the Town of Madison. For the safety of horses stabled in the pavilions, shooting demonstrations are not allowed in the Pavilion One or Pavilion Two arenas. Participants are responsible for the care of their equine, and equines are expected to arrive and be kept in show condition i.e. bathed, brushed, and clipped per breed standards. Horses should be of a healthy body condition. All horses are subject to veterinary inspection and evaluation. At the discretion of the Midwest Horse Fair, a horse deemed unfit or unhealthy may be prohibited from participating. Notes about the equine and owner’s contact information should be indicated on the stall card. Veterinarians are onsite all weekend and should be contacted if any equine requires attention. Participants should not care for anyone else’s equine without the owner’s permission. To insure the health of your horse and other participants' horses, it is recommended that you are in contact with your veterinarian prior to your trip to the Midwest Horse Fair. Participants will be required to complete a Horse Health Questionnaire upon arrival. For the safety of all participants and clinicians, participants must abide by the instructions given by gate attendants and only enter arenas when and where directed. All participants, especially those under the age of 18, are strongly encouraged to wear a helmet while mounted or driving on the show grounds. Owners are encouraged to hang halter and lead line on stall for easy access in case of an emergency. Participants must wear wristbands at all times. Wristbands will be checked at the entrance to the grounds and at the arena gates. All tack must be in good condition and suitable for performances. Participants must wear appropriate riding attire; no open-toed shoes are allowed. Logoed apparel promoting an organization, farm, or business that is not a Midwest Horse Fair sponsor, clinician, commercial exhibitor, breed/discipline group or Stallion Avenue participating farm is prohibited in demonstrations, clinics, competitions, and shows. Equines should not be cross-tied in aisles if they prevent the passage of equines or attendees. Participants may not ride equines inside the pavilions with the exception of designated arenas or holding areas. Riding in stalls and aisles is prohibited. Smoking is not permitted in any of the buildings or pavilions. Stall layouts may only be altered by Midwest Horse Fair or Alliant Energy Center staff. Stallion service fees are only allowed for sale in Stallion Avenue by participating farms. Breed & Discipline groups are allowed to sell club promotional products within their hospitality booth. These items may include club memberships, club logo apparel, or entry fees to equine shows where proceeds go to the club. Sales of any other kind are not allowed. 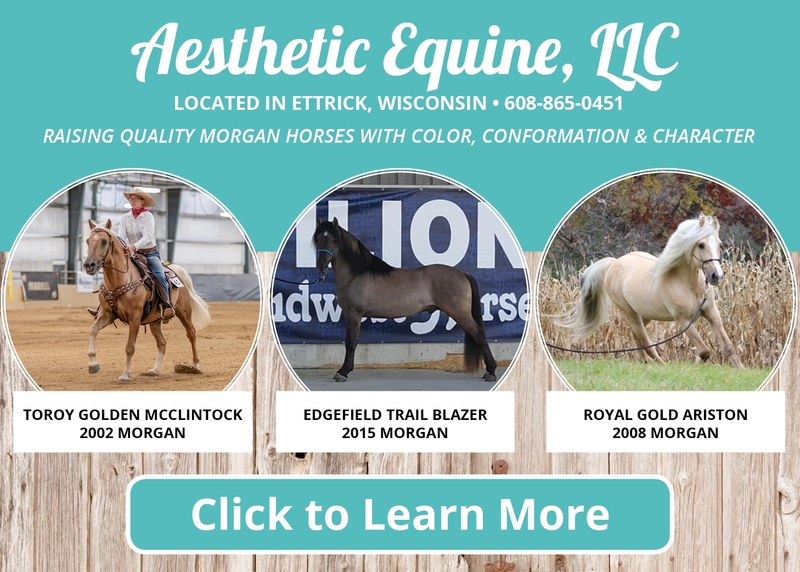 It is strictly prohibited to advertise horses for sale, stallion services, training, lessons, boarding, commercial or retail products, or any other product or service. A $250 advertising fee will be charged for each occurrence. Posting flyers of any kind on pavilion surfaces is not allowed. Flyers promoting a breed/discipline group or Stallion Avenue horse may only be distributed within the stalls of breed or discipline groups or Stallion Avenue. Zip ties, clamps, “J” hooks, and string can be used to affix decorations to stalls. Drilling, nailing, stapling, welding, screwing, taping, and using adhesives of any kind is strictly prohibited on stalls and pavilion surfaces. Violations will result in fines in excess of replacement costs. Per Alliant Energy Center rules & regulations, the use of paint (i.e. hoof polish or lacquer, etc.) on pavilion floors or surfaces is strictly prohibited and subject to fine in excess of repair costs. In accordance with public health and safety guidelines, food cannot be prepared, given away, or sold to the public in the pavilions. The only exception is food for you or group members. Store-bought wrapped candy may be given away. Horses not participating in Stallion Avenue, regardless of gender, are strictly prohibited within the confines of Stallion Avenue and designated Stallion Avenue practice areas. Motorized vehicles are prohibited inside of the pavilions and under pavilion overhangs. Storage of tack, feed, and other equipment is only allowed within the confines of an assigned stall. Using the corners, side walls, aisles, electricity/water access points, pedestrian walkways, exterior overhangs, or other open space of the pavilions for storage of these items is prohibited. Equines under saddle en route to any of the arenas should be walked. Removing the bridle before unhitching a driving equine, anywhere on the grounds, will result in immediate removal from the grounds, without refund. Use safety lanes & horse only lanes where indicated en route to the Coliseum and arena. Only those escorting a horse should use designated horse lanes. For the safety of all participants, the horse lane should not be used as a warm up area when another horse(s) is en route to or from the Coliseum. Equines are expected to stay in the areas surrounding the pavilions. Equines should not be ridden or led near the Outside Mall, Exhibition Hall, Food Court, or Trailer Avenue. Equines are not allowed in the camping areas. Walking equines on the grass areas of Alliant Energy Center is not allowed. Dogs on the grounds and in Pavilions must be leashed at all times. Per county ordinance, dogs are not allowed in the Exhibition Hall, Coliseum, Arena building or the Pavilion lobby, Kids Korral, and second floor, with the exception of service animals with proper identification. Personal motorized vehicles such as golf carts, scooters, and gators are not permitted. To report a violation, please contact a member of Midwest Horse Fair staff, as indicated by their name badge and radio. Veterinarian contact information can be found on stall cards posted at each stall. To address any immediate concerns, please visit the Welcome Center in Pavilion Two or the Show Office in Exhibition Hall.